J Susanne (Sue) Longshore was appointed Executive Director and St Lawrence County Historian in August, 2014. 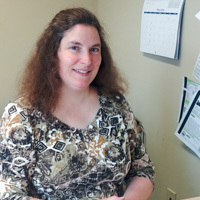 She has been employed at the SLCHA since September 1996. A native of Central New York, she has a BA in History from SUNY Geneseo and completed course work at Duquesne University towards an MA in History with a concentration in Museum and Archival Studies. As SLCHA Collections Manager, she was responsible for the care and documentation of all artifacts in the museum collection as well as curating exhibits. Her other areas of responsibility included publication of The St Lawrence Chronicler, membership management, coordination of special events and serving as Deputy St Lawrence County Historian. JeanMarie Martello has managed the SLCHA archives since October of 2002. She assists visitors with research and accessing archival resources. Additionally, she conducts genealogical and historical research as requested, supervises archive volunteers and high school and university interns. 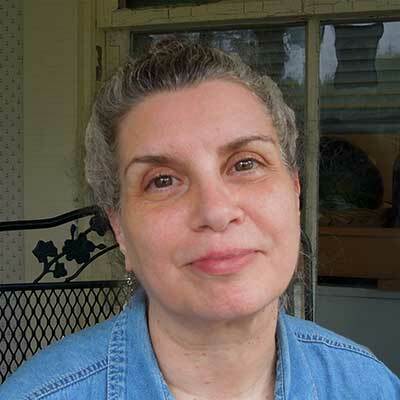 JeanMarie received her BA in anthropology and art history from SUNY Potsdam. Her interests in herbs, traditional medicines and Native American culture and art drive much of her personal research and work. She is a founding member of the St Lawrence Area Poets (SLAP) and has been writing poetry most of her life. Cassidy Percoco has been the collections manager since March 2015. She received her undergraduate degree at Binghamton University in anthropology, and then attended the Fashion Institute of Technology to achieve a master's degree in fashion and textile history, theory, and museum practice. Her book Regency Women's Dress, 1800-1830 was published in the fall of 2015 by Batsford.